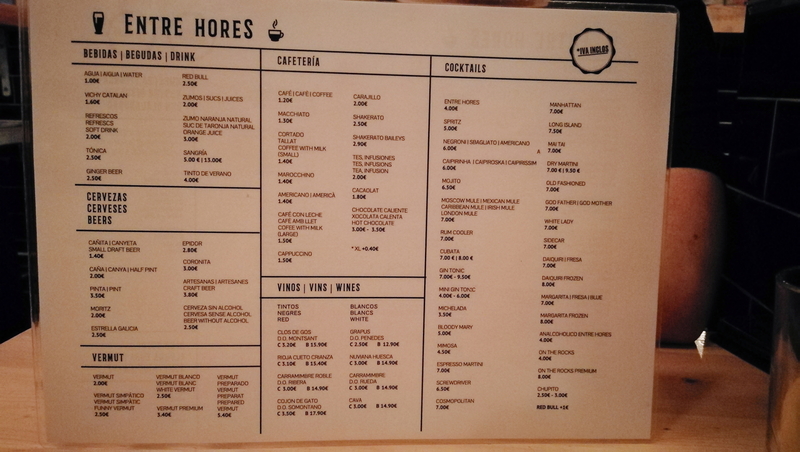 Entre Hores is a gastrobar located on Carrer Verdi, one of the most popular and walkable streets in Vila de Gracia. It’s a small yet well distributed place with an inviting atmosphere and an eye catching menu which offers tapas, a variety of “bocadillos” and some proper late night drinks. We went on a Thursday night to try out some of their tapas and we were pleasantly surprised. Type of food: Tapas and sandwiches. Type of atmosphere: Intimate, relaxing, international. 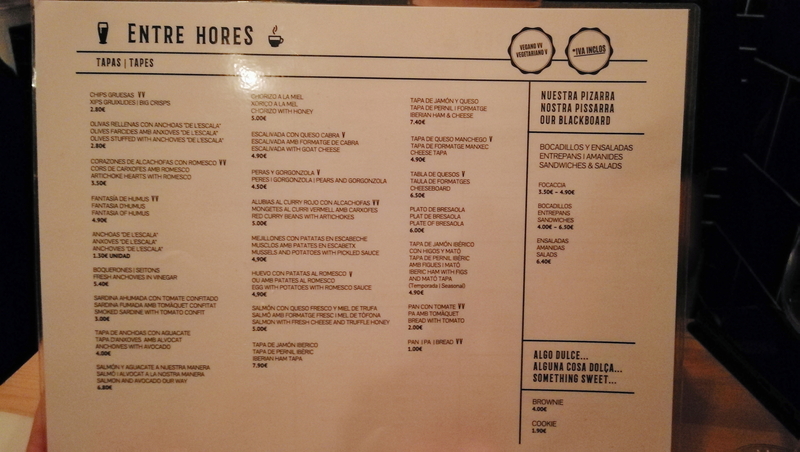 Average drink price: Drinks menu.